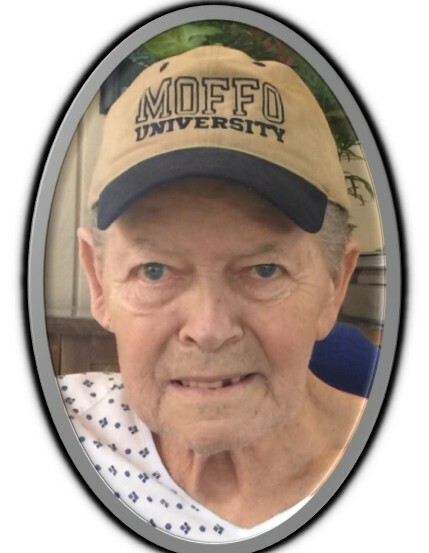 George A. Moffo, 75, of New Alexandria, Ohio, passed away Sunday January 27, 2019 at Trinity Medical Center West in Steubenville, OH. He was born November 11, 1943 in Mingo Junction, OH, a son of the late Phillip and Dorothy (Clark) Moffo. George was retired from IMS where he was a welder and mechanic. He was a member of the Wells Twp. Sportsmans Club. Surviving are his wife, Daunna (Ford) Moffo, whom he married January 8, 1966; three children, Deann (Dennis) McNulty of Haddonfield, NJ, Tammy (David) Slivka of Brilliant, OH; and Tom (Malinda) Moffo of New Alexandria, OH; three sisters, Mary Murphy of Tennessee; Margaret (Fred) Icuss of Steubenville, OH; and Anthonette (Ken) Neuman of California; eight grandchildren and four step-grandchildren. Friends will be received at the Wheeler Funeral Home, 712 Third St., Brilliant on Wednesday from 3:00 p.m. until the time of his funeral services at 7:00 p.m. with Michael Gromczewski, officiating. Private interment at New Alexandria Cemetery. Memorial contributions may be directed in George’s memory to either the Wounded Warrior Project, PO Box 758517, Topeka, Kansas 66675-8517 or the American Cancer Society. Jefferson county Chapter, 1212 Jefferson St., Steubenville, OH 43952.